It's 1914. Sixteen year old Sophie Pritchard, orphaned two years earlier by the sinking of the SS Titanic, is about to begin a new life in the unfamiliar world of British India. For Sophie, still devastated by her parents' death, India proves a dangerously unsettling environment. Are her terrifying experiences in Kali's temple and the Park Street cemetery hallucinations, or has she somehow been drawn back through the centuries as a witness to dark places in Calcutta's past? Sophie it seems has become an unwilling traveller in a timeless zone where past, present and future co-exist. Kidnapping, enemy spies, and terrorist plots all play their parts against the background of a world at war and growing unrest in the Indian subcontinent. Soon Sophie's powers of precognition will be called upon to help thwart a conspiracy that could incite a bloodbath in Calcutta, and deliver India into enemy hands. "Sophie, in Shadow deftly weaves intrigue, spies, and mystics with more than a dash of the occult into a story that will captivate any reader." - Linda DeMeulemeester, author of the Grim Hill Series. Eileen Kernaghan lives in New Westminster, British Columbia. 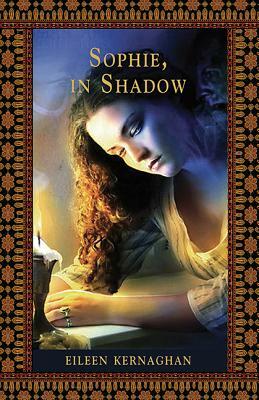 Sophie, in Shadow is Kernaghan's ninth book in the fantasy genre. Eileen's first young adult fantasy, Dance of the Snow Dragon, was set in 18th century Bhutan. It was followed by The Snow Queen, which won an Aurora Award for Canadian science fiction and fantasy, and was shortlisted by the Canadian Library Association for Best Children's Book of the Year. The Alchemist's Daughter, set in Elizabethan England, was shortlisted for the Sheila Egoff Prize for Children's Literature and the Manitoba Young Readers' Choice Award. Winter on the Plain of Ghosts, which also appeared in 2004, is an adult historical fantasy set in the ancient Indus Valley civilization. Wild Talent: a Novel of the Supernatural, a novel of spiritualism in Victorian England and fin de si?cle Paris, appeared in 2008, and was shortlisted for a Sunburst Award for Canadian Literature of the Fantastic.